There are many benefits (and very few drawbacks) to having polished concrete floors in your facility. Concrete floors hold up to heavy traffic, they are easy to clean, and will likely last the lifetime of your building. They are even very easy to change if you decide you want a different kind of flooring; after all, there is no need for a potentially pricey removal since most flooring has a concrete subfloor underneath. So how do you keep these durable and economical floors looking and functioning at the highest level? With professional concrete floor polishing. The longevity of concrete flooring makes it one of the most economical types of flooring. However, care must be taken to maintain the concrete floors. Because it’s porous, concrete can stain. In places where there are high rates of accidents (schools, warehouse stores, etc), concrete sealing and then polishing on a regular basis will make it easier to clean up stains on the floor. Stains caused by liquids can also lead to erosion if your concrete flooring is not properly sealed. This can be done before the floors are polished, which saves you the expense you can incur if repairs are needed on your concrete floors. Finding the right cleaning agent is absolutely crucial. Determining what needs to be used in your concrete polishing or regular cleaning is a key part to keeping your concrete flooring at its best. Some concrete is painted, and that requires a special kind of cleaning agent. The stains mentioned above will need a type of cleaning agent that will emulsify the dirt and grime buildup on the flooring. Concrete polishing also requires specific equipment, and depending on the variety of floor, grinders or polishers are sometimes used for concrete polishing. When hiring a cleaning company to take care of the maintenance of your concrete floors, they should be able to tell you exactly the kind of equipment and product they will be using and why those are best for your specific concrete polishing needs. For facilities like hotels, or retail stores, keeping polished concrete floors looking shiny is a necessity. Guests expect gleaming floors in stores and hotels, even convention centers. Especially in high traffic areas, keeping concrete flooring in peak condition can be difficult if you do not keep a consistent schedule of cleaning and polishing. In order to ensure that your concrete floors look their best, concrete polishing every three to nine months is advised. This will help keep your facility looking sharp, not shabby. If polished concrete is not regularly maintained, serious issues can arise. The most serious of these potential problems are related to safety. Concrete polishing and sealing help to keep moisture from seeping into the concrete. When concrete succumbs to moisture, it can eventually erode the concrete and cause potentially dangerous cracks. Aside from the undesirable aesthetic, these cracks could lead to trips and falls on your concrete floors. There is no give to concrete, so when someone falls, it can cause serious injury. 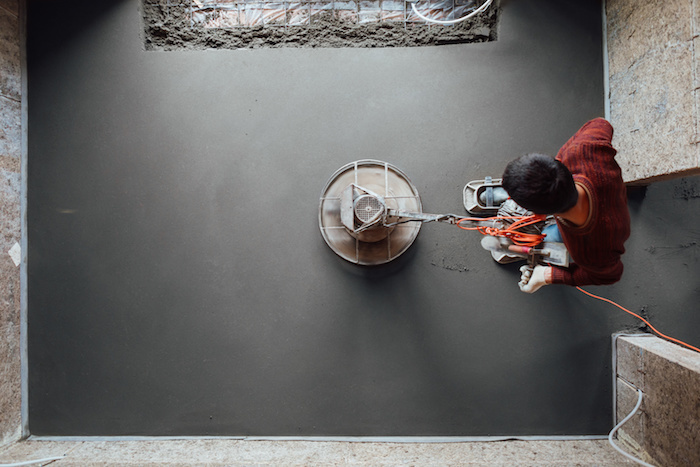 Any business that’s concerned about the safety of their customers and employees should be sure to properly maintain their concrete flooring. If you have multiple locations, you might have used different concrete floor polishing companies or you might be on different cleaning schedules. This can give your facilities a less-than-uniform look in their flooring. Another possible issue might arise if your facility has different kinds of flooring within it and your concrete polishing company does not clean other kinds of flooring. Thankfully, if you hire All Building Cleaning Corp in Southeast Florida, you will work with a company that can do it all for you! We are experts in concrete polishing,and we have teams that service all of southern Florida. If you have multiple locations, we can handle them all. This will maintain a sense of uniformity and give you the peace of mind that comes when you know you are getting the expert service you desire for your facility. All Building Cleaning Corp has been a trusted commercial cleaning company for over two decades. Our expertise in flooring does not stop at concrete polishing and maintenance, but also extends to carpet, wood, marble, stone, and vinyl as well. Whatever your commercial cleaning needs are, we can take care of them! Request a quote today from our expert customer service team to see how we can help you with your concrete polishing needs.